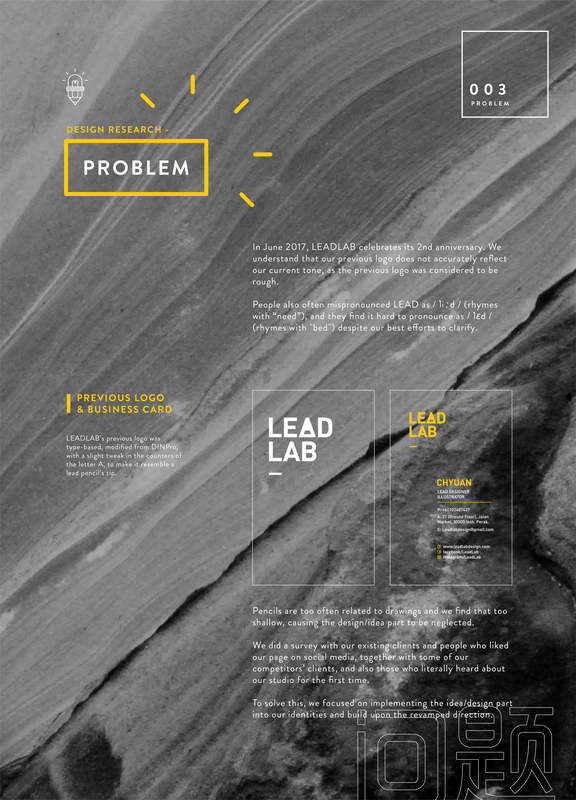 At Leadlab, we believe that everyone deserves designs empowered by concept, creativity and content. We understand that our previous logo does not accurately reflect our current tone, therefore we re-crafted our brand elements, to improve on the overall form and function using a minimal approach. The brand assets revolves around 3 major elements - lead pencils and leader ( which are the two forms of the heteronym lead ) and also light bulb denoting creativity. They combine to form a coherent master brand-led identity system that works across multiple platforms.